COER, consists of three organisations; COER, Massey University is the RESEARCH arm and focuses on “Acquiring Knowledge”. It administers doctoral research programmes in business excellence and benchmarking. BPIR.com Limited is the KNOWLEDGE TRANSFER arm and focuses on “Best Practice Sharing” through its website, www.bpir.com. COER Limited is the CONSULTANCY arm and focuses on “Applying Knowledge” through consultancy and training in business excellence and benchmarking. 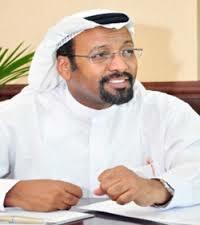 COER’s achievements include founding BPIR.com – benchmarking and best practice website (2002), managing the New Zealand Benchmarking Club (2000-2004), the Sheikh SAQR Government Excellence Program, UAE (2005-2007), reviewing the Australian Business Excellence Framework (2006), developing TRADE best practice benchmarking and certification (2007), researching the impact and value of business excellence and productivity in Asia for the Asian Productivity Organisation (2009-2011 and 2014), founders of the International Best Practice Competition (2012), and facilitating Dubai We Learn for the Dubai Government Excellence Program (2015). Dr Robin Mann, Director and founder of COER, serves as the chairman of the Global Benchmarking Network (representing 25 countries). The BPIR.com is an internet-based benchmarking and best practice information and networking service. It contains a huge amount of information to help individuals in their professional development and undertake successful improvement projects. The BPIR contains 1,000’s of performance measures, best practice case studies, self-assessment tools and provides over a 1,000,000 articles on the theme of performance improvement across all functional areas, industries and covering most countries. All the information is categorized by the criteria of business excellence models (e.g. Baldrige and EFQM) – thus helping organizations to quickly get on the track to excellence! The resource was developed by the Centre for Organisational Excellence Research, Massey University and spun out of the University to become BPIR.com Limited in 2006. The BPIR.com has over 8,000 members worldwide. Members not only have access to the resource but also a monthly newsletter and 8 Best Practice Reports per annum. “The Abu Dhabi Chamber of Commerce which administers the Sheikh Khalifa Excellence Award (SKEA) have been the Prime Sponsors of the International Best Practice Competition since it was held in Abu Dhabi in 2014. Professor Hadi El Tigani, Chairman of the SKEA Committee has been instrumental in forging this partnership with the International Best Practice Competition. Based on this partnership Abu Dhabi will host the International Best Practice Competition every 3rd year to support its leadership role as a hub of innovation and best practice sharing in the region. The Abu Dhabi International Centre for Organisational Excellence (ADICOE) is a semi-government entity, operating as a subsidiary of the Abu Dhabi Chamber of Commerce and Industry (ADCCI), specialized in Total Quality Management and Business Excellence. ADICOE offers unique services in Training and Consultancy all aimed at achieving personal and organisational aims and objectives pertaining to enhance performance and results focused approaches. The Asia Pacific Quality Organization’s (APQO) major objective is to become an Asia Pacific scientific and technical association, whose country organization and individual memberships are jointly working towards the goal of achieving continuous quality improvement of goods and services. The objective is to be achieved through efficient organization, promotion and development of appropriate means to meet with other associations, institutions, groups and individuals concerned with and/or engaged in work related to quality improvement of goods and services. EFQM is a not-for-profit foundation, established to support sustainable economic development. The EFQM Excellence Model is a framework that has been used to drive sustainable organisational development for over 20 years. It can be applied to any organisation, regardless of size or sector. It is based on observation and learnings from leading organisations on what has made them successful and what they need to do to remain competitive in future. Together with our Partners, we currently support 30,000 organisations to develop and grow. Benchmarking, learning from the experience of others, is a powerful method for breakthrough thinking, innovation, improvement and for delivering exceptional bottom-line results. It is one of the most popular and effective tools used for organisational success. The Global Benchmarking Network (GBN) since 1994 has played a key part in raising the awareness and use of benchmarking worldwide. The GBN comprises of 25 benchmarking centres in 21 countries.